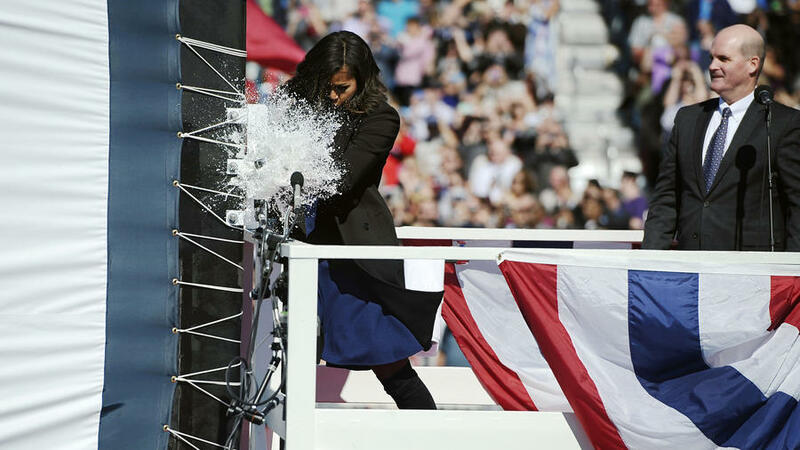 The U.S. Navy with assistance from the First Lady Michelle Obama commissioned and brought to life the newest Virginia class submarine, USS Illinois (SSN-786), during a ceremony attended by more than 2,500 at Naval Submarine Base, New London on October 29, 2016. 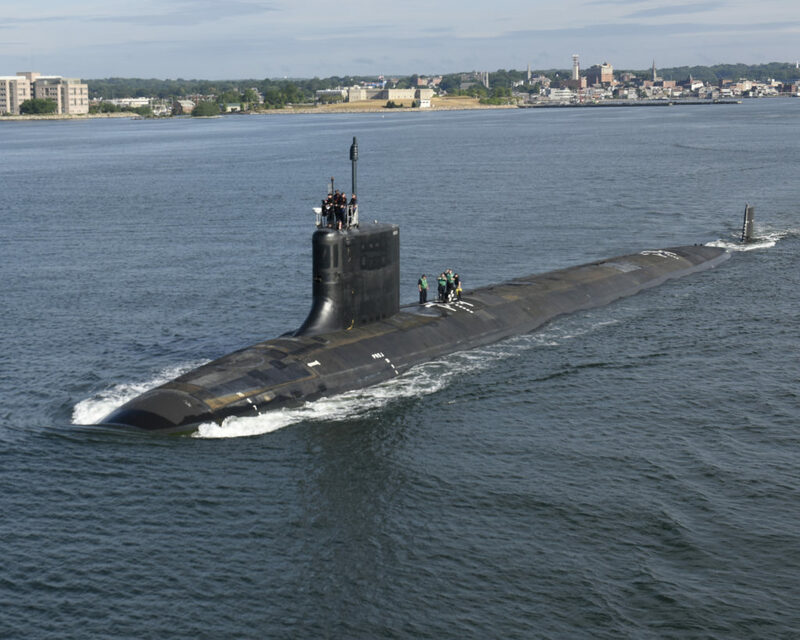 Illinois, named in honor of the 21st state, is the 13th Virginia-class, fast-attack submarine to join the Navy’s operational fleet. The first lady, who is the ships sponsor, expressed how proud she was of the crew and their families. «Thank you for giving me the incredible privilege of being associated with you and with your families and with the Illinois for the rest of my life. I will continue to keep you in my prayers every single day and keep you in my thoughts, and know that you have a sponsor that cares deeply». Obama gave the order to «man our ship and bring her to life» before the crew of about 130 men ran across the brow, onto the vessel. «There are many out there who have been waiting a long time to address you-not as a PCU, but as a United States Ship-the USS Illinois-a warship», said key note speaker, Chief of Naval Operations, Admiral John Richardson. USS Illinois (SSN-786) is the third of eight Block III Virginia-class submarines to be built. The Block III submarines are built with new Virginia Payload Tubes designed to lower costs and increase missile-firing payload possibilities. The first 10 Block I and Block II Virginia-class submarines have 12 individual 21-inch/0.53-meter diameter vertical launch tubes able to fire Tomahawk Land Attack Missiles (TLAMS). The Block III submarines are built with two-larger 87-inch/2.2-meter diameter tubes able to house six TLAMS each. 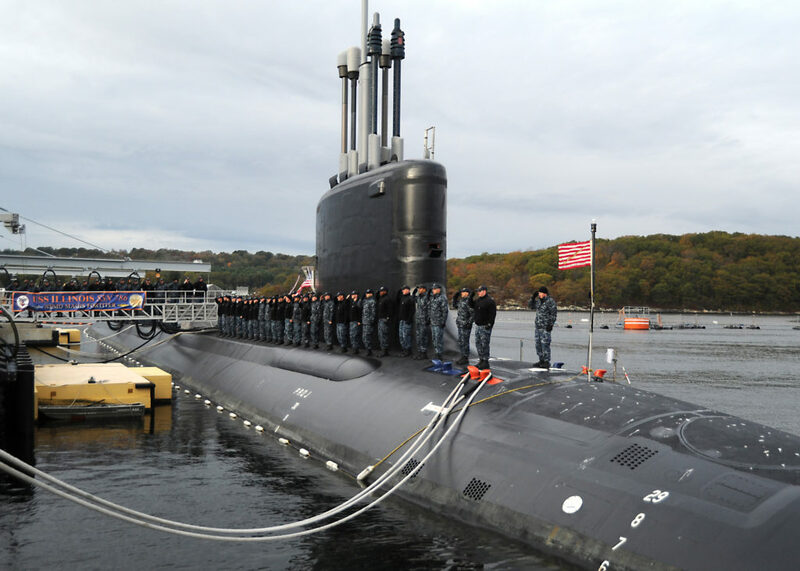 USS Illinois Commanding Officer, Commander Jessie Porter, highlighted the Illinois’ capability to dominate the undersea domain and enable military success in any engagement. «Over the coming years, this submarine -and others like her-will continue the impressive legacy that our submarine forbearers have established in making our country more secure», said Porter. «The Illinois has joined the fleet», said Porter. «The crew of Illinois has assumed our watch-a watch that will continue for the next 30 years-always waiting for the call, always ready». During the ceremony, Obama had the opportunity to announce Illinois’ Sailor of the Year, Petty Officer First Class Ryan Mock. The first USS Illinois (BB-7) was a battleship commissioned in 1901 and was part of President Theodore Roosevelt’s Great White Fleet that circumnavigated the world in 1907, introducing America as a global power. 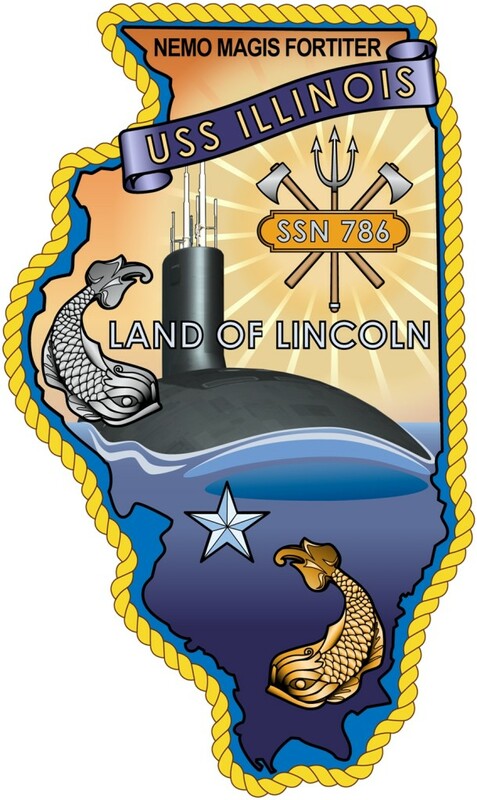 USS Illinois (SSN-786) is a flexible, multi-mission platform designed to carry out the seven core competencies of the submarine force: anti-submarine warfare; anti-surface warfare; delivery of special operations forces; strike warfare; irregular warfare; intelligence, surveillance and reconnaissance; and mine warfare. The submarine is 377 feet/114.8 m long, has a 34-foot/10.36-meter beam, and will be able to dive to depths greater than 800 feet/244 m and operate at speeds in excess of 25 knots/28 mph/46.3 km/h submerged. It will operate for over 30 years without ever refueling. 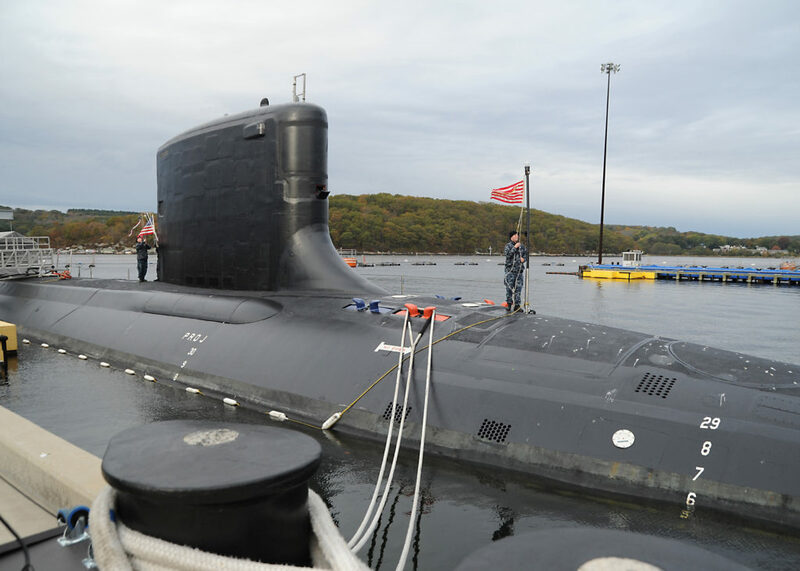 Construction on Illinois began March 2011; the submarine’s keel was authenticated during a ceremony on June 2, 2014; and the submarine was christened during a ceremony October 10, 2015.